Yamada is a delinquent, Shiraishi is a model student. The two want nothing to do with each other until one day they accidentally tumble down the stairs together and mysteriously switch bodies. Another student catches on to their secret and promises to help if they join the Supernatural Studies Club. 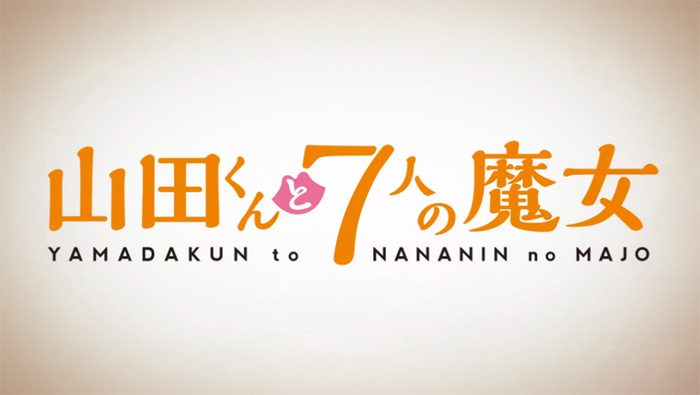 The wacky but simple premise of Yamada-kun makes it feel like something that would have aired 10 or 15 years ago. Even reading my own premise that I just wrote above, I want to roll my eyes at how tired that sounds. Rather than feel cliché or derivative though, this first episode is a testament to how far you can go with solid characters and fantastic execution. For starters, each of the cast members we meet finds a way to be a little deeper than their introduction lets on. Yamada is the brash school delinquent but becomes bashful and timid when confronted with the possibility of romance. Shiraishi seems like a shy model student but turns out to be very bold and forward. Even Miyamura, who is introduced as a potential antagonist, turns out to be a harmless goofball. Each character shows strengths and weaknesses and immediately make you care about what happens next. 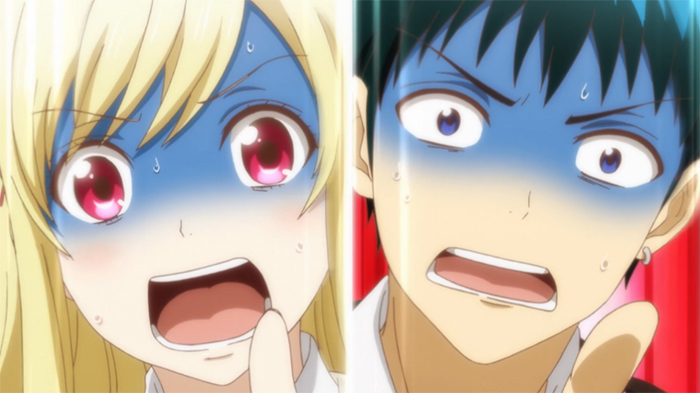 Of course Yamada-kun is primarily a comedy and it delivers in that regard as well. The jokes land smoothly with bursts of silly cartoon animation and perfect comedic timing similar to recent Dogakobo shows like Love Lab or even this season’s Mikagura School Suite. That is one anime trend I 100% approve of. Surprisingly the fan service stays in check for the most part, despite the humor lending itself to it. There’s a few shots as the main couple sort out their awkward situation but it’s all equal opportunity and pretty tame compared to similar series. Add in fantastic directing that knows when to slow down and when to speed up and I’d say Yamada-kun has a good chance of being the best comedy of the season. It’s been a while since Kokoro Connect brought out the ol’ body swap gimmick in an anime. Unfortunately for Yamada-kun, it’s way more invasive than its counterpart in showing what a person might do given the situation. At least our characters seem to have good chemistry, makes what could be a really creepy story a lot better. While I didn’t enjoy the random strip show, most of the jokes were actually pretty good. Having a kiss be the medium of change seems par for the course for this kind of story, and I suppose lets the author get away with way more stuff than they would normally. I’m just worried about how long they can use this as a plot point before it gets stale. Kokoro Connect opened with body swapping, but it wasn’t too long before another supernatural phenomenon came about to shake things up. Unless it’s able to properly use this tactic I’m not sure I can stay with it. That first episode was pretty good all around. I’ll second Marlin’s worry about the medium losing it’s charm. I’ll keep at it till humour is stale. If. As far as the body swapping hook getting old, there are supposedly seven witches so I’m assuming they will have different powers. That’s not any guarantee it will stay good, but at least there’s potential to mix things up. Personally, I feel the manga has developed into something quite good for a series which started out as simply kissing to swap bodies. Expect complexity and social commentary to slip in, though not heavy-handed enough to over-ride the comedy. That’s good to hear, I could definitely see things developing that way. This was probably my favorite first episode of the new season so I’m looking forward to seeing more.